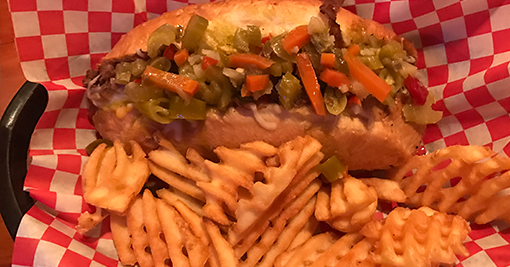 Club 45 Bar & Grill in Conover, WI serves delicious Chicago style deep dish pizza, the best italian beef, burgers, and daily food specials. Located on snowmobile trail and Old hwy 45. Wednesday - Monday: 11 am - Close / Closed Tuesdays, except January & February. Wednesday - Monday: 11 am - Close / Closed Tuesdays, except in January & February. Open Tuesdays only in January & February 11 am - 4 pm. 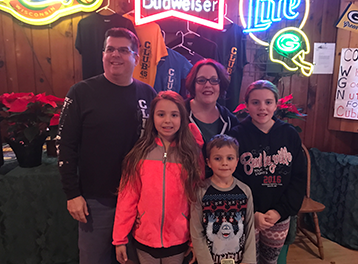 Club 45 is family-owned by Jenny and Dave; members of a family where the restaurant and bar business runs in the family. 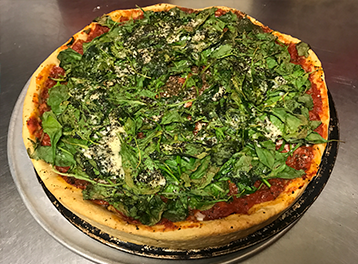 Dave’s grandfather, Jim Saine, first opened and operated Jim Saine’s Restaurant on Rush Street in downtown Chicago. After vacationing ‘Up North’, Jenny and Dave decided that they wanted to move to the North Woods and buy the already established Club 45. Club 45, which had been around for many years, had owners that were ready to move on; just as Jenny and Dave were ready to move in. Dave and Jenny from the north side of Chicago became the proud owners of Club 45 in October 1999. 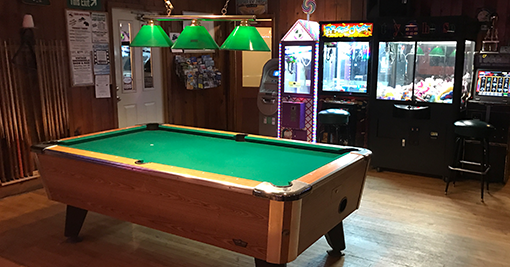 As newcomers to the North Woods, there was speculation by the locals as to “What was going to happen to the local clientele’s stomping grounds?” It was soon evident that Jenny and Dave were ready to make the local folks feel right at home. Welcome to Club 45. We are located just off US Highway 45 in the heart of the Wisconsin North Woods; between Land-O-Lakes and Conover. Over the years, changes have been made to the bar, food is served, and Club 45 is the place to meet and greet friends. 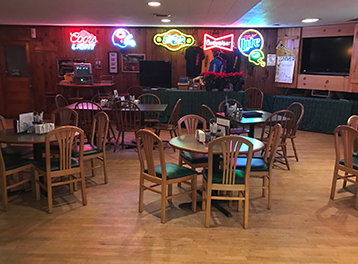 So, when you are up in the Wisconsin North Woods, come join us at Club 45. We will be waiting.